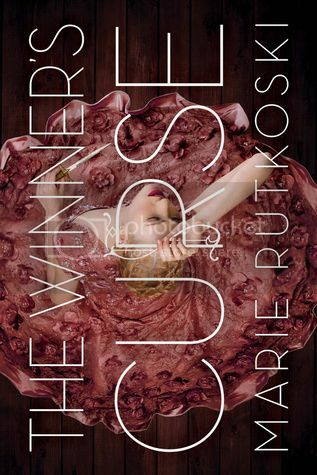 I was super excited to finally start The Winner’s Curse, as I had seen so many great things about the book floating around the internet. This book definitely did not disappoint! It was an absolutely fascinating read. The main character in the story is Kestrel, who is the daughter of a very influential general. When we first meet Kestrel in the book, I thought she was bit standoffish and somewhat snobby. Because of this, I didn’t actually think that I was going to like her. But thankfully we see throughout the book that she’s quite the opposite of a snob, she’s a very caring person, who only wants to do what’s right for not only her people, but for the Herrani people as well. I found Kestrel to be an extremely likeable character. Arin is a slave that Kestrel purchases on instinct. (Of course, there is a reason for this purchase.) Arin is definitely a very complex and mysterious character. I couldn’t figure him out in the beginning, and even when I got to know him better, I still had mixed emotions about him. He was a man with many different sides. I liked his fierceness and determination to do what he thinks is right, even if it may not seem right to me or everyone else. And I loved his feelings for Kestrel. He definitely did not want to do her any harm. He just wanted what everyone wants, to be free. I’m really looking forward to getting to know him more as I continue this series. Everything about this book was so creative to me. The characters names, the storyline, the world-building… EVERYTHING! The author did a wonderful job of describing the world in which these characters lived. I was able to see it precisely in my mind, and the world was just beautiful. The storyline was creative and unique, I can honestly say that there is no other book that I’ve read that can compare to this one.The only thing that drove me crazy was that I had so many questions left at the end of the book, and I am hoping that we will get answers to them in the next book. I’m really curious as to what is going to happen next for these characters. Can I also just add that the cover for this book is absolutely gorgeous? Major kudos to the designer that did this cover, it’s definitely stunning! Overall; this book definitely lived up to all of the hype that it has been getting. I really enjoyed reading this book, and I can’t wait to check out the next book in the series. I absolutely love the cover of this book, it's beautiful! And I'm so excited to read it, everyone seems to be loving it. Thanks for the great review, will definitely be moving this book up the pile!